This time of year, gardening is in high gear. In between pulling weeds and watering plants, harvesting is happening. Gazing down into the basket, one particular plant is producing like crazy… the humble yellow squash. Each day, it seems as though I am plucking more of them than any other vegetable. Now the squash family is huge. It is split most commonly into summer squash and winter squash. Given that we are in the midst of summer, let’s focus on summer squash. Looking deeper into the summer squash family, one notable member stands out… yellow squash. To be specific, Cucurbita pepo. 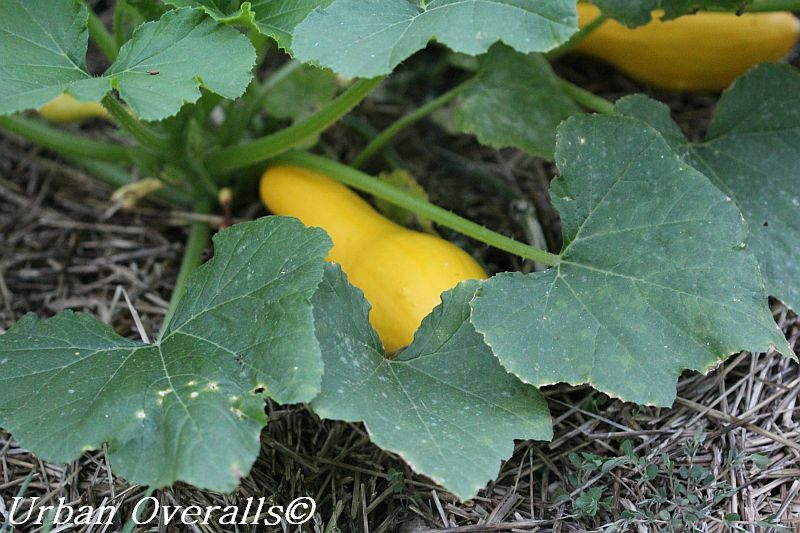 If you are not familiar with this branch of the squash family, they are golden-yellow and just slightly elongated. They are best when harvested at approximately 6″ – 8″ in length. At this stage, the flesh is quite tender.If you allow them to get much larger, the seeds inside become quite large and slightly bitter. 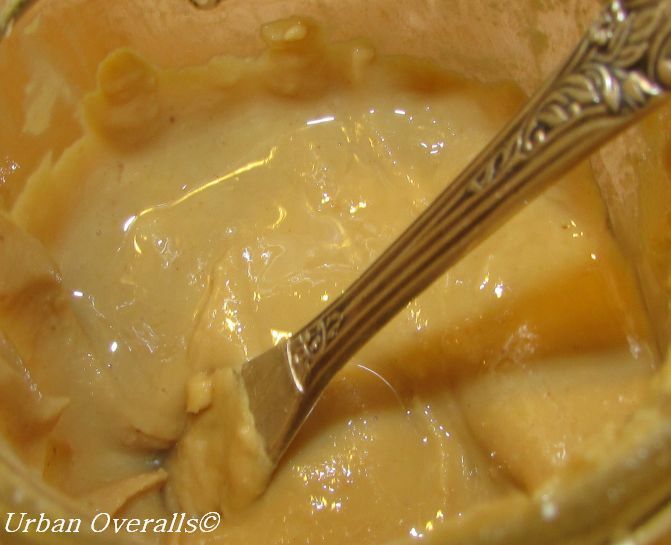 The flesh also becomes much firmer and loses some of its delicate flavor. While they may not reach the legendary size of their cousins, the zucchini, huge yellow squash specimens tend to be more seeds rather than flesh… and that does not make for a great meal. It is considered a warm season crop – do not plant this before the average frost-free date for your area. Squash plants HATE having their roots disturbed – for best results, direct sow rather than transplanting seedlings. Select powdery mildew resistant varieties – will generally be noted on the seed package. If the package or catalog does not give any indication, select a variety that you are interested in and then plant in a place with good air flow and do not crowd the plants. This will help reduce the likelihood of powdery mildew from developing. Choose varieties to fit your garden space – if you have limited space, go with ‘bush’ varieties. Bush varieties do not vine out across the garden. Bush varieties may also be planted in large containers with good drainage. A good example is a 5-gallon pot. Plant in full sun locations with good draining – squash plants will thrive in the sun, but the roots may rot if placed in poorly drained soil. Extreme heat can stress the plants – a stressed plant may suffer from reduced yields. Add mulch around the base of the plant which will help conserve water, keep the root zone cool, and reduce competition from weeds. Examples of mulch include straw, chopped leaves (whole leaves tend to mat when wet and may prevent adequate moisture from reaching the plant roots), hay, and even shredded newspaper. Hand pollinate to ensure high yields – squash have both male and female flowers. 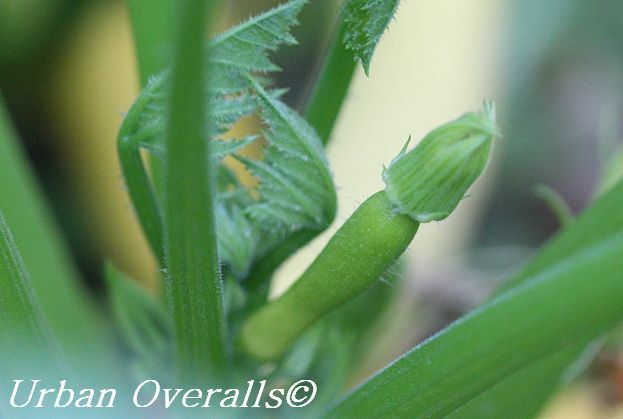 At the base of a female flower is a tiny, immature squash. 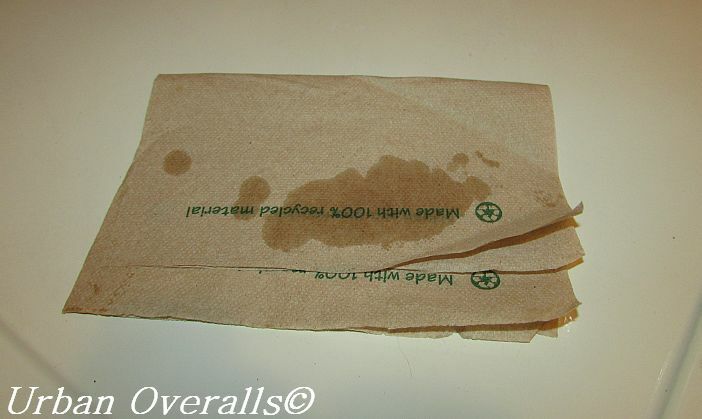 Take a swab of pollen from a male flower (no immature squash at the base of the flower) using something such as a small paintbrush or Q-Tip and then apply to the stamens of a female flower. Yes, squash is a bee pollinated plant, but you are helping out. Protect the plants with floating row covers – this will help reduce infestation from insects such as squash bugs, cucumber beetles, and vine borers. The row cover is put in place when the squash are seedlings, but should be removed when the plants begin to flower. 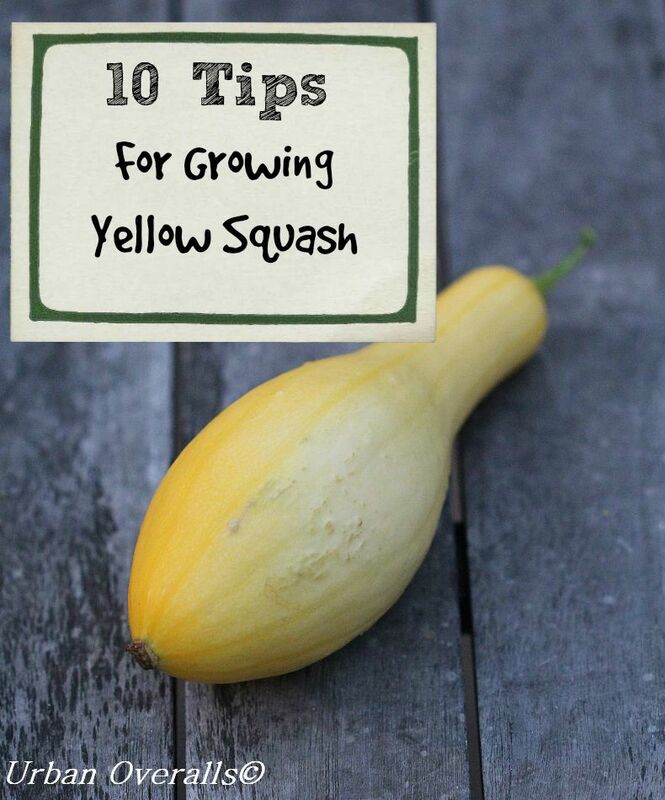 Good for succession planting after radishes, lettuce or peas – a yellow squash plant generally produces in approximately 50 days (give or take a few days depending on the cultivar). Refer to the seed packet or plant tag for maturity date. Don’t plant near pumpkins, winter squash, gourds, and other varieties of summer squash (such as zucchini) if saving seed – squash can readily cross pollinates with cucurbits listed earlier in this bullet point. Worth noting is that if cross-pollination has taken place, it will not be noticeable in the crop that is produced in the first year (the current season), but seed saved from the harvested crop, may bear fruit that looks and tastes different from the original yellow squash plant. To help reduce cross-pollination, you could try planting pumpkins in the front yard, gourds in the side yard, and yellow squash in the backyard. Another suggestion would be to coordinate with your friends and neighbors. Each person grows a single type of squash and then when harvest season begins, folks share with each other. Whether you have a huge garden, small raised bed, or even a large container, you can grow yellow squash. And with the 10 growing tips listed, you can enjoy a bountiful harvest!